Our music can be licensed for in-store advertising purposes. Audio only adverts where music and / or sound effects are used to enhance an advert with a voice over. Video screen advertising where the music and / or sound effects are supporting the visual advertisement. The music can be licensed and used as long as required on our standard license. This covers one store or location. If you require a license for many stores or a large chain of stores please contact us for a quote. Public venues are monitored by PRS in the UK and other Performance Royalty Organizations (PROs) around the world. You may also be contacted by PPL in the UK. Using our music and sound effects in your in-store advertising does not require you to pay any additional royalties through such agencies. Our composers have signed an agreement to waive additional royalty collections from agencies for such use. If you are questioned, you can show them our license documentation and they can contact us directly for confirmation of your license with us. Providing you are only using our music, in our experience this has always been enough to dissuade collection societies from trying to charge you additional fees. Although we can assure PROs that your license has been paid, many composers join a PRO to benefit if their music is used in TV, Radio or Film. The downside is that PROs don't always acknowledge the right of the composer to also earn income via other services (such as ours). The result is that they may ask for proof of your license (which we readily provide). This can be an inconvenience, so to avoid this we have made a list of music that is definitely not in any PRO. Typically they will ask you for the title of the music and the composer. If it is not in their database they cannot ask for proof of licensing. If you want further assurance, please take a look at our PRO free music - Public safe music. Is the composer missing out if I don't pay the PRO fee? No. The PRO fees collected are pooled together and paid proportionately to PRO members. As all mainstream artist rely heavily on the PRO the money collected is divvied up based on statistics of plays. This always goes in favour of the mainstream artists. Realistically, independent artists and composers that join PROs do not benefit from public use of their music. They usually only join a PRO for TV, Radio and Film use of their music as this is more accurately monitored. Even if you paid the PRO for using our music, there is almost no chance that our composer will receive the money. 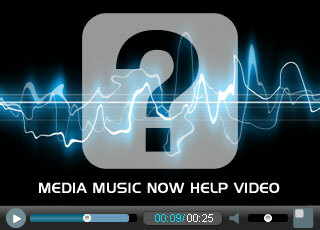 However, licensing through MediaMusicNow means that the composer is guaranteed 50% of the fee.